When you solo do you normally go straight to your first pentatonic box shape? Do you only use minor pentatonic scales, or rarely use rich sounding modes to enliven your playing? Do you hear a lick in your head but have trouble actually playing it on the guitar? Would you like to have complete freedom to visualize and play in any key, in any position on guitar? 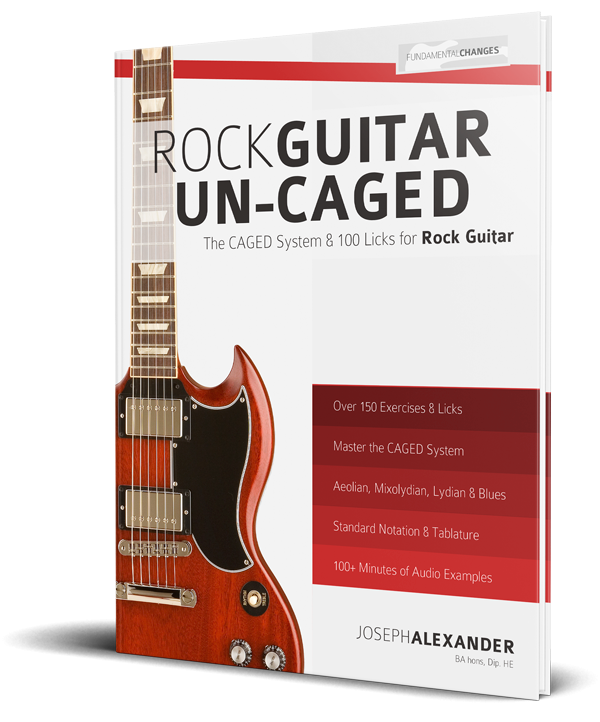 Don’t stay locked in the same patterns and scale shapes… discover a new way to learn the your way around the guitar with Rock Guitar Un-CAGED. 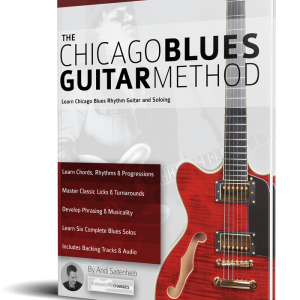 This book is the Complete Modern Soloing Course. 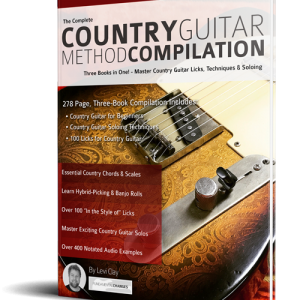 The lessons in this book will help you get out of a soloing rut, teaches you the tricks and secrets that professional guitarists use to unlock the neck and always have something new to play, plus gives you 100 audio example to help you master all 100 new licks. There are 25 Licks based around the 4 most common rock guitar scales; The Blues Scale, The Aeolian Mode, The Lydian Mode and the Mixolydian Mode. 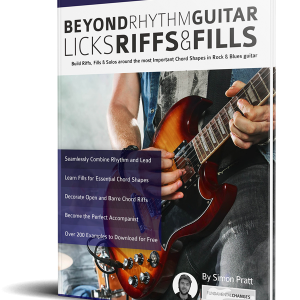 With 5 licks based around each of the 5 fretboard positions you always have great lines to play wherever you are on the guitar neck. Each lick is demonstrated with a professionally recorded example track so you know what sound you’re aiming for. 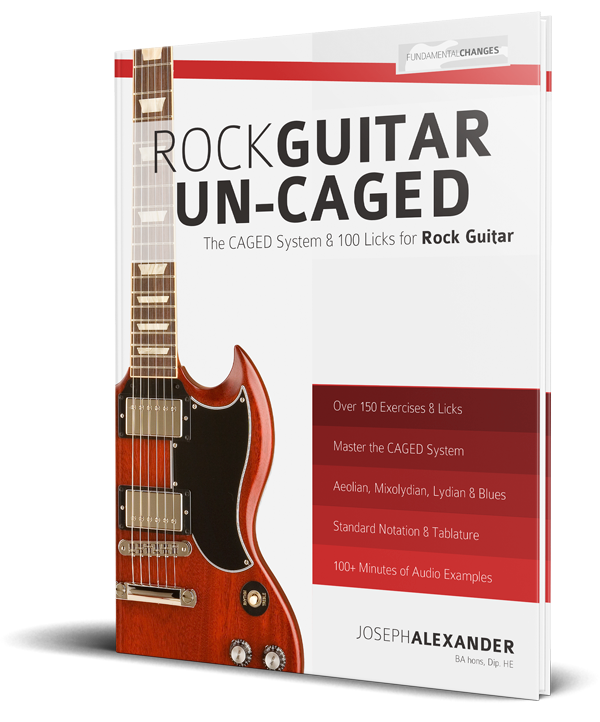 Each of the 5 scale patterns for each mode is taught around the CAGED system. This simple system helps you easily relate each scale pattern to an individual chord shape anchor. By relating your scales and licks to these anchors you can easily play any scale or lick, in any position and in any key by simply shifting the anchor. 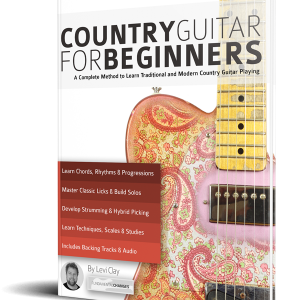 Each chapter includes extensive exercises to increase your vision of the guitar neck wherever you are, or whatever you’re playing. Of course, each exercise is also included as an audio track too.